On Sunday morning I heard on the radio that David Light had won a silver in boxing at the Commonwealth Games. Hmmm, that name rings a bell, and Light isn't all that common a surname. Sure enough it's the David Light who was at my tennis club in Auckland. I played him twice at the club champs; we won one each. In 2006 he was only 14 but almost my height and already quite imposing physically. He would have beaten me seven times out of ten, but unfortunately for him, I happened to play one of the best matches of my life that day, and I ran out a 6-4 6-4 winner, making maybe half a dozen unforced errors in the whole match. Fast forward to 2008, and I was going through a bout of depression and didn't want to be anywhere near a tennis court. After an embarrassing 7-6 3-6 6-1 first-round win over a guy called Dean Martin (yes, really) who didn't even play tennis, I faced David Light in round two. He'd trained hard over the previous two years and was quite an accomplished player by now; I was all over the place, tennis-wise and everything-else-wise. Predictably I lost 6-1 6-1. David made it through to the final and might have won but for some poor sportsmanship from his experienced opponent (Simon, you know who you are) who almost bullied him into carrying on in ridiculously heavy rain. David was an exceptionally nice guy, so nice in fact that I wondered whether it could hinder his progress. Neither tennis nor boxing especially reward niceness. He was the youngest in a family of eight; I met his dad a few times - he was also a very likeable chap. Congratulations on your silver medal David - next stop Rio. 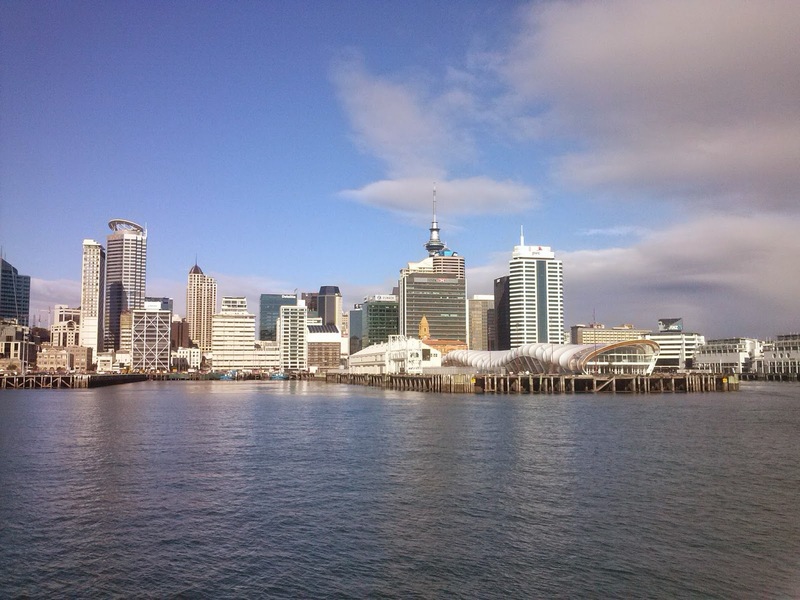 I wanted to write more, but here's a picture of Auckland from the Devonport ferry. I did a "Good on her" post when Marion Bartoli won Wimbledon. It's hard to keep track of these things.